Succulent Lust: Gotta Have these Plants! I used to hate succulents and cacti when I was a kid. I was too young and inexperienced in the garden to appreciate the sculptural beauty of these gems. "Pretty" back then meant "flowers," but today I'm awed by the form, texture and color of succulents, even when they are not in flower. I use succulents in planters and place them in areas where I can appreciate them close up and show them off to other people as my "living art." Take a peek at the beauties I saw at the Huntington Library and Gardens in Pasadena recently. 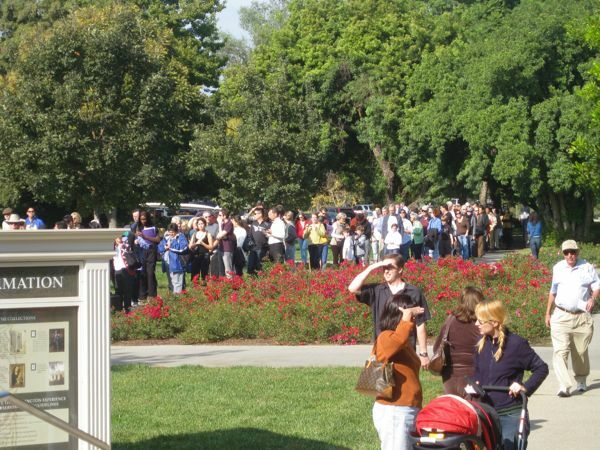 I was there on the day after Thanksgiving, "Black Friday" and have never seen so many people in line to visit a garden! I called it my "Green Friday" and I was in great company! No, they were not giving anything away at the Huntington Gardens on Black Friday-only beauty! 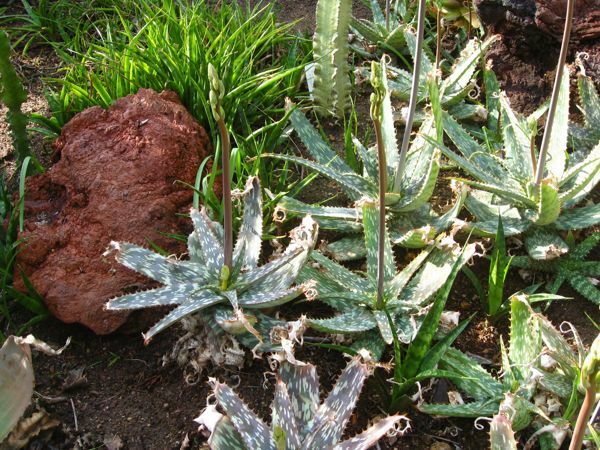 Aloe striata "coral aloe" will flower annually. The leaves grow from the center and eventually "fill out" the plant. 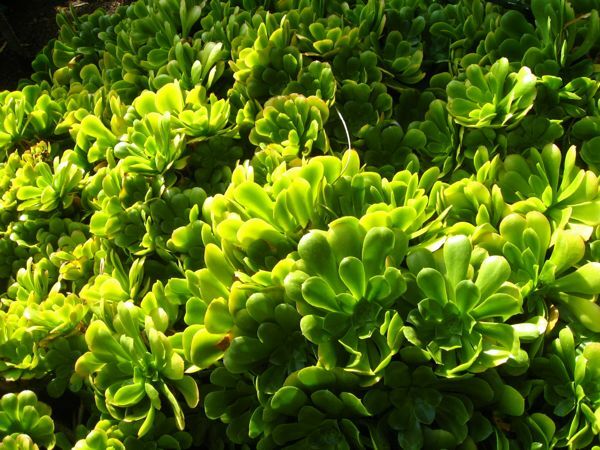 Aeonium pseudotabuliforme, lime green and sublime. 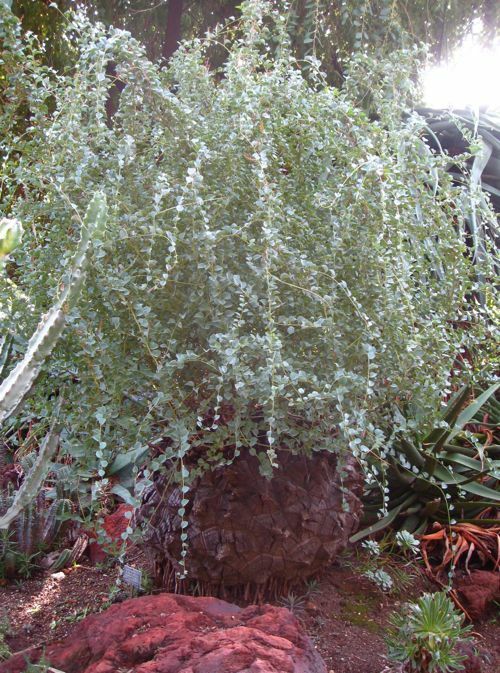 Testudinaria elephantipes, ("elephant's foot") The silver leaves look like a string of glass beads growing out of a giant wood carving! Aloe parvibracteata ready to flower! Echinocactus grusonii "golden barrel cacti" hold back the brigade of "wooly torch," (Cleistocactus strausii). This reminds me of what I saw under the microscope in biology lab. You can eat the fruit and also the "paddles" make a delicious low calorie "nopalito salad." 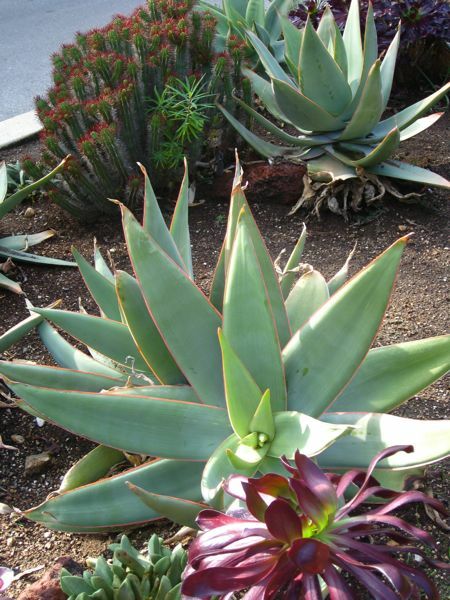 Agave americana "Variegata" is the grand dame of the succulent garden with leaves that grow up to 5 feet long! Once the agave puts out a flower on a 6 to 25 foot stem, the Agave begins to decline. The good news is that it takes about 20 or 30 years for the agave to flower so this plants will be around for a while. 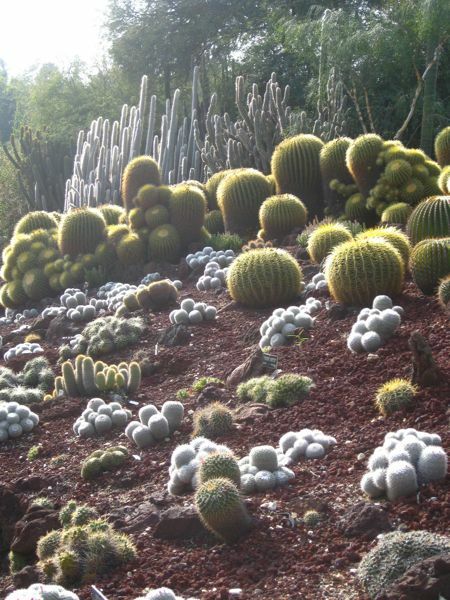 Curious about cacti and succulents? Great video and beautiful succulent plants! If you’re passionate about succulents, you should consider visiting Namaqualand, South Africa (300 kilometers north of Cape Town). Namaqualand is included in the Succulent Karoo biome, one of only 25 Biodiversity Hotspots in the world.The Succulent Karoo is exceptional among the world’s arid regions for its spectacularly diverse array of 6,356 plant species, 40% of which are endemic, found nowhere else on Earth. Gorgeous succulent pics!!!! I started a succulent collection in my backyard a little over two years ago and it’s thriving. Super low maintenance too. You have to watch out for slugs and snails but that’s about it. I’ll have to use that line on TV sometime and take all the credit. I’m glad you enjoyed your visit to EdenMakers. 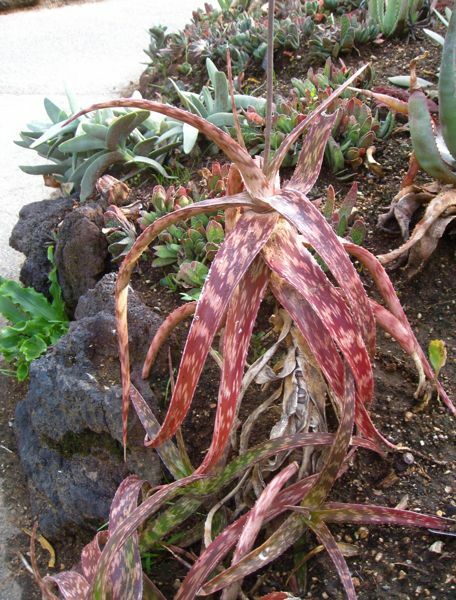 Hi Shirley, your climate is certainly heaven for those succulents, I love to see them in mass plantings like that. I agree, that for beginning gardeners, sometimes they only have eyes for flowers, when foliage and form are just a vital to a visually pleasing garden. Thanks for sharing! Thanks for stopping over at my blog to post a comment. Interesting that we were both blogging about succulents at the same time! And I love your pictures! Living as I do in New England, I won’t be seeing green plants again outdoors for quite a while yet. Your post got me thinking about the significance of people’s choosing to grow — or not to grow — plants like succulents. 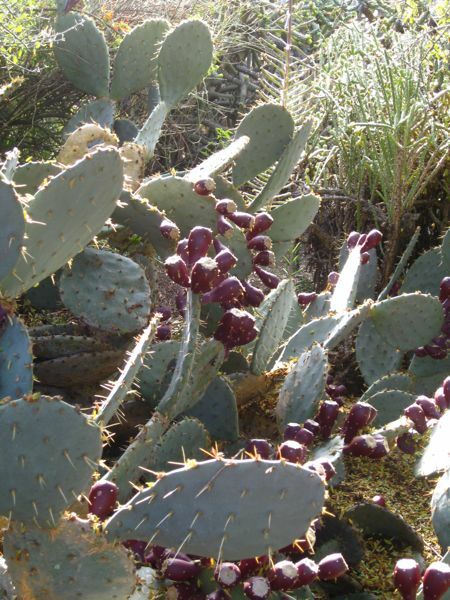 Of course, geography plays a part in plant selection, and succulents are more of a no-brainer for the Southwest. Nonetheless, even up here people have the option to grow plants that, while they may not offer great flower displays, do make up for it with their form and/or texture. What it says, I think, when people choose to grow foliage plants is that they’re hungry to appreciate the plant world from as many different angles as possible. It also suggests that the growers are capable (for whatever reasons) of “slowing down” enough in life to take the sort of deliberate garden stroll required to appreciate such plants. Foliage plants don’t shout out for attention — they beckon only those with an ear for their subtle whisperings. Thanks for the vicarious visit to Huntington Gardens, one of my favorite places. I remember being fascinated by my grandmother’s hens and chicks when I was a kid. She even gave me some of my own. That was so neat, I thought. It’s hard not to be fascinated by succulents. As you point out — in words and photos — they’re appealing in so many ways. 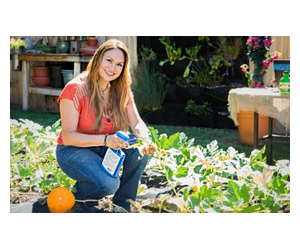 Hi Josh- Yes, succulents are growing in popularity. You have to get some! Put them in a container so you can bring them in during the cold weather.You won’t be sorry. Thanks for visiting! Mac’s are the best computers for us creative types- I’m happy to hear you have one now. 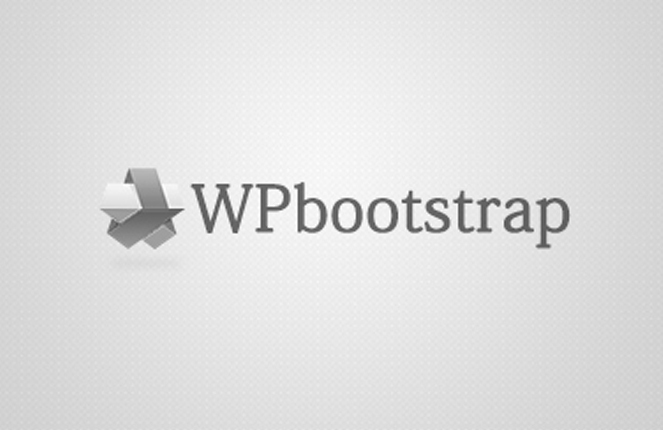 The applications are so user-friendly that you can’t help but make things! Thanks for the kind words. I hope you are doing well these days. The succulents are growing on me and they are pretty. I am in a begonia stage right now as I try to find something that will thrive under all these wide porches that are heavily shaded. You would not believe how beautiful your pictures are since viewing your blog on my Mac! OH my word Shirley! !—it is so beautiful. I thought your blog was grand before but now I’m wanting to go back and see what I missed. The detail is amazing. Succulents seem to be growing in popularity! They are just plain cool looking and fun…not to mention super easy to grow. 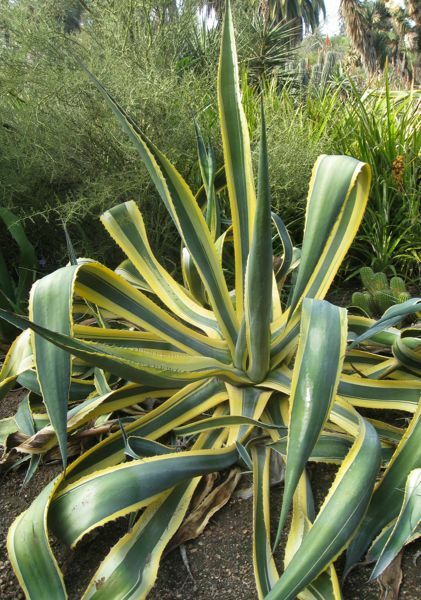 I really love all the new variegated agaves that are becoming more readily available. I just wish they were hardy in Iowa!